Awarding of signed MOA (L-R) Anton Lllanes, PAPRO Isagani G. Placido, Undersecretary Karlo S. Bello, Aniceta J. Ilagan, Chairman of Samahang Magsasaka ng Puting Buhangin MPC; and Regional Director Eugene P. Follante. 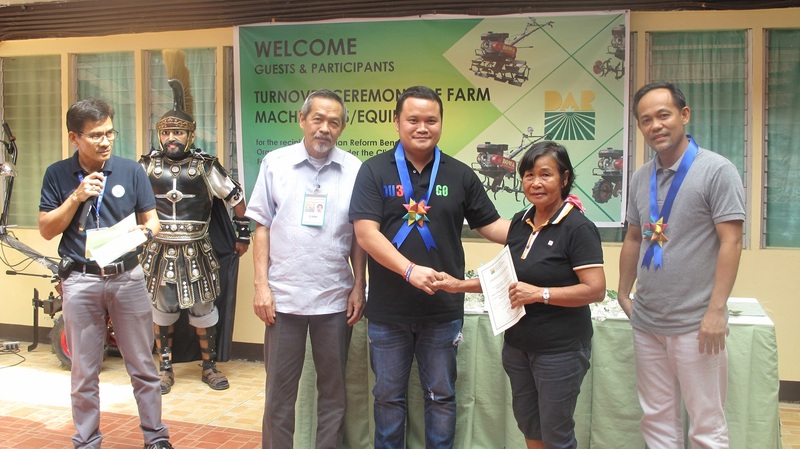 More than 200 members of different Agrarian Reform Beneficiaries Organizations (ARBO) from the island province of Marinduque now benefit from new farm machineries turned over last month to the farmer groups. Seven units of multi-tilling machine with implements and three units of agricultural trailer were provided to the following ARBOs: Balagasan Farmworkers Association in Boac, Bangwayin Farmer Beneficiries MPC in Torrijos, Bagtingon Upland Farmers Association of Land Occupants (BUFALO) in Buenavista, and Samahang Magsasaka ng Puting Buhangin MPC in Mogpog. “The primary mandate of the department is to distribute lands to qualified beneficiaries. But our work doesn’t end with that. Different interventions under the support services program are also provided, such as the provision of support facilities and farm machineries to farmers,” said Department of Agrarian Reform (DAR) Undersecretary Karlo S. Bello. Regional Director Eugene P. Follante congratulated the recipient-ARBOs and hoped that the farm machineries provided would really help improve productivity in the province despite the challenges posed by the climate change. Undersecretary Karlo S. Bello with the farmer-beneficiaries answering their queries. “The farm machineries provided is under the Climate Resilient Farm Productivity Support Project of the department which provides a range of necessary services to improve the ARBOs’ agri-enterprise and its ability to access and compete in the market,” Follante added. The ARBO-beneficiaries are located in typhoon-prone areas, explained Chief Agrarian Reform Program Officer Virgilio L. Laggui during the project orientation. For his part, Provincial Agrarian Reform Program Officer Isagani G. Placido motivated the farmers to continue improving the lands provided to them. He said they can rest assured that the DAR from its Central office to its Regional, Provincial and Municipal units are working hand-in-hand in order to provide the necessary support to the farmers. “As long as you have the right attitude and willingness to be part of the program, we will always be working by your side”, Placido told the farmers. “We are so grateful to be the beneficiaries of this project. 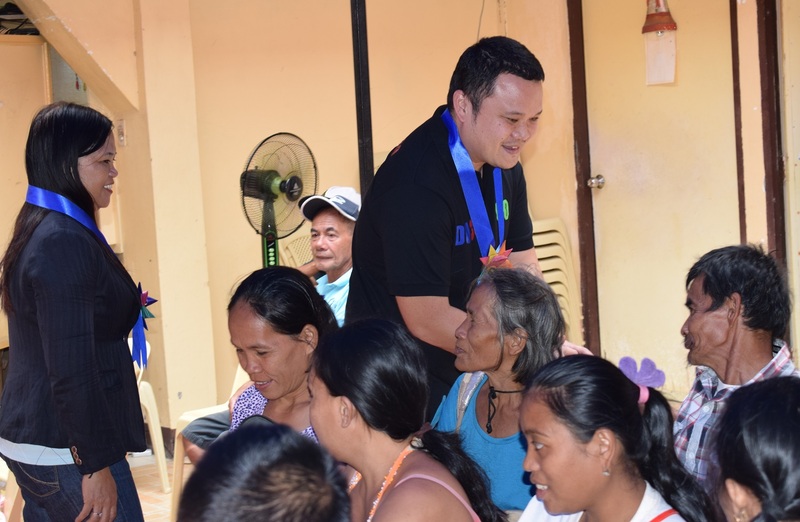 We will do our part to really help not just our members but our community, as well, to boost the production of our lands and increase income through this provision of machineries”, Johnny C. Francisco, Chairman of BUFALO responded.